Kenyan boxer Benson Gicharu won the gold bantamweight gold in Venezuela at the APB/WSB Olympic qualification event. 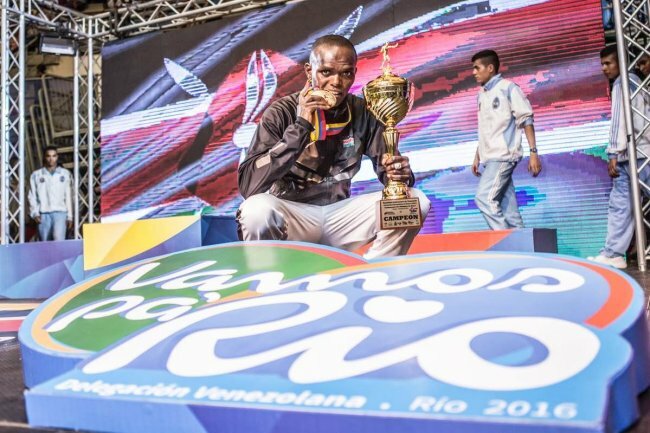 Gicharu walked over to the 56kg title over Dominican Republic’s Hector Luis Garcia. Venezuela’s newcomer in the national team Victor Rodriguez the 21-year-old bantamweight (56kg) boxer delivered his best performance ever against Turkey’s Ibrahim Gokcek in the Box-off. The Turkish boxer did an amazing comeback in the third round but his efforts were not sufficient enough to modify the outcome of the bout and Rodriguez also qualified for the Olympics. The national Bantamweight champion had seen off Italian Ricardo D’Andrea in the quarter finals of the Olympic qualification tournamen to book his Rio ticket.